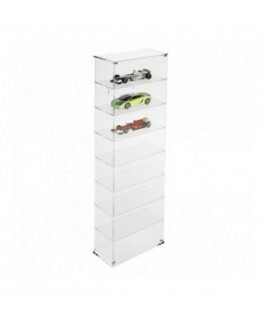 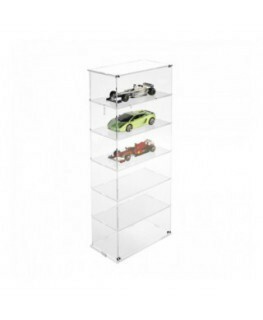 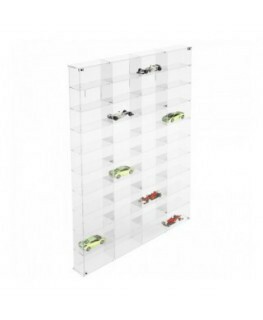 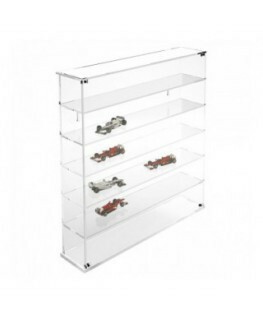 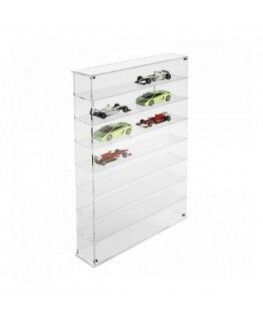 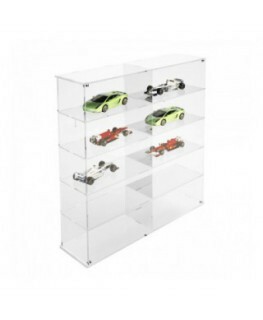 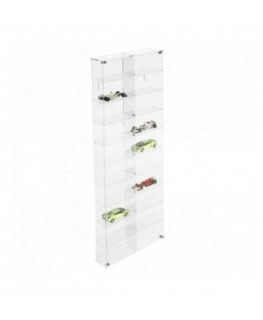 This clear acrylic wall-mounted notice board/display case with 6 shelves has a scale of 1:18. 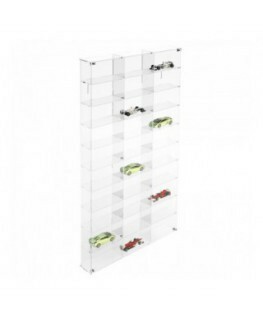 It is a marvellous way of displaying collectables (for example cars, motorcycles etc.). 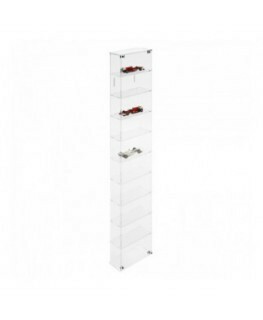 It is equipped with a front door and a magnetic lock. 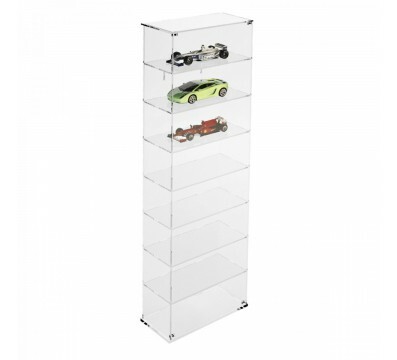 Made out of clear plastic, the display is resistant to scratches and easy to clean.